No two facilities are exactly the same. Therefore, it is not uncommon for a facility to require unique solutions to address their needs. 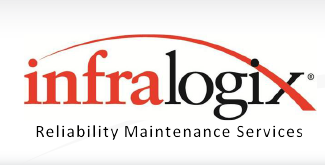 Infralogix possesses an uncommon depth of experience and breadth of capabilities that allows us the flexibility to develop new combinations of services that are tailored to the specific requirements of our customers. We pride ourselves on our ability to accept new challenges, work collaboratively with our clients and create valuable solutions. Unsure how to solve a particular reliability or maintenance problem — or don’t even know where to start? We have a simple answer; call Infralogix!